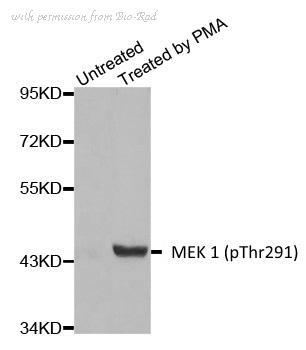 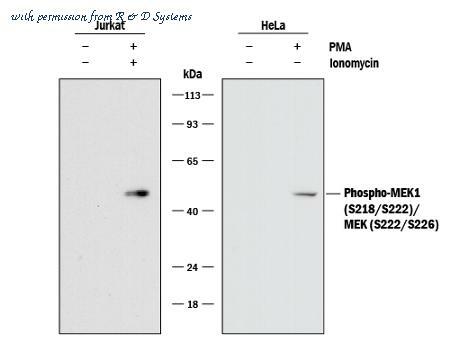 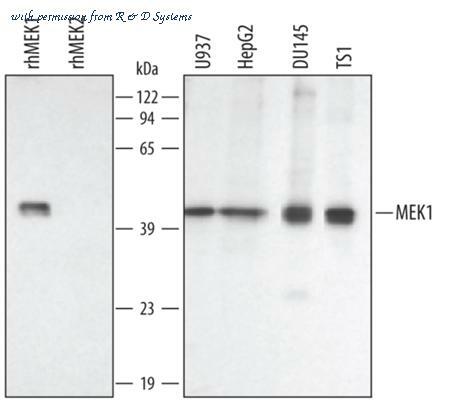 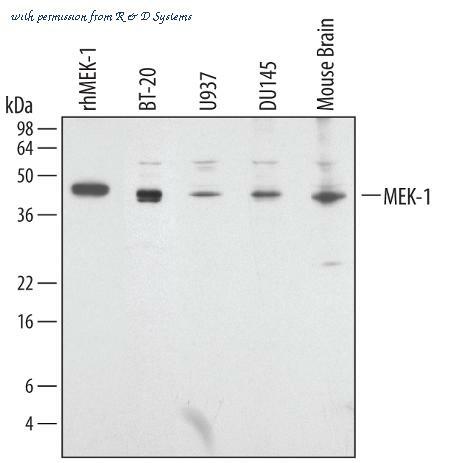 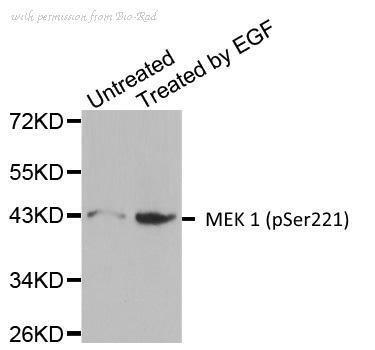 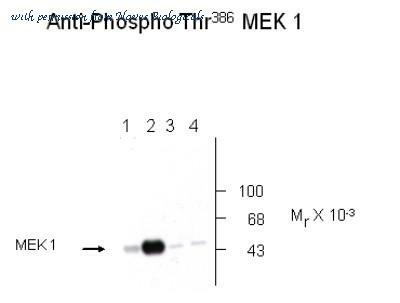 Western Blot: MEK1 [p Thr386] Antibody [NB500-144] - Analysis of recombinant WT and mutant MEK 1 immunolabeled with the Anti Thr386 MEK1 antibody. 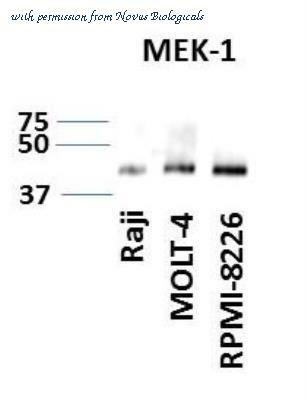 Lanes 1 and 2 are WT MEK 1 and Lanes 3 and 4 are mutant MEK 1 (T386A). 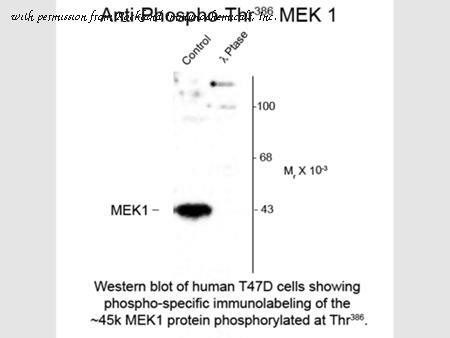 MAP kinase was coexpressed in the samples run in Lanes 2 and 4. 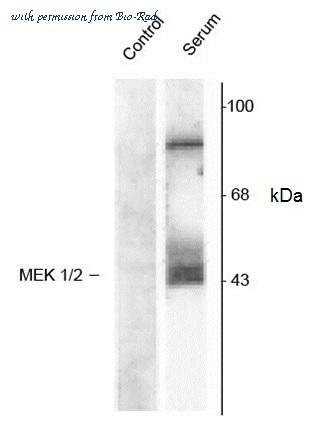 Western Blot: MEK1 Antibody [NBP1-87790] - Lane 1: NIH-3T3 cell lysate (Mouse embryonic fibroblast cells). 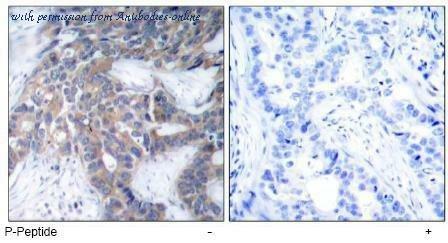 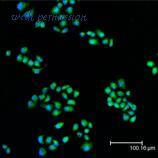 Lane 2: NBT-II cell lysate (Rat Wistar bladder tumor cells).